Thanksgiving dinner isn't complete without a pecan pie. Serve classic pecan pie or get creative with these delicious variations. Here at Southern Living, we firmly believe that a holiday table is never complete without a homemade pecan pie. We’ve put together some of our best recipes to make your holiday menu flawless. Rich and chocolaty, salty and sweet, bourbon-infused, bite-sized, even deep-fried – these pies are all equally irresistible. For a classic Southern approach, whip up Mom’s Pecan Pie, a recipe that’s been passed down through many generations. For a more creative dish, try our creamy Pecan Cheesecake pie. For a pie with a crispy, buttery shortbread crust, try our easy-to-make Caramel Pecan Tart. And, for a quicker way to achieve the nutty, mouthwatering flavor of a homemade pecan pie, try our quick Pecan Pie Bars or Pecan Pie Brownies. No matter which pecan pie recipe you choose, you simply can’t go wrong. Top with whipped cream and enjoy – you’ve just made your best pecan pie ever! IIt’s the dynamic duo together again. Pumpkin and pecan are two fall heroes of the kitchen, and they work together seamlessly, saving your dinner party from lackluster desserts. That is especially true in this Pumpkin-Pecan Streusel Pie recipe, which combines the fresh pumpkin and pecans—fan-favorite autumnal ingredients—with a couldn’t-be-sweeter streusel mixture. Create the chunky, chewy texture by leaving a few extra-big blueberry-size pieces in the Pecan Streusel Topping mix. Add a toasty topper in the form of a layer of toasted pecan halves on top of the streusel mixture. This will make your pie the ultimate in pecan presentation. Talk about indulgence. The South’s new, region-wide appreciation for whiskey goes beyond drinking. Since Kentucky is the Bourbon capital of the world and distilleries are scattered throughout the South, (Jack Daniels makes their home in Lynchburg, Tennessee), we are rife with options—for drinking, sure, but also for adding to our recipes, like this Chocolate-Bourbon Pecan Pie Recipe. Bourbon has found its way into sauces, braises, and especially desserts, none more delicious than this one. Now bourbon and pecan pie fit together like peanut butter and jelly or Tom Petty and the Heartbreakers. That sounds like a great fit to us. If you’re craving pecan pie but would rather have a mini bar than a hulking slice of pie as a result of your efforts, this recipe is a perfect alternative. They’re great for parties, too, and they are easy enough to nibble while sipping wine and talking to partygoers. The best part of this recipe, though, isn’t just the cute bar, convenient form, or tasty final product, though those are ample enough reasons to try this recipe. These chewy, bite-size bars require just 20 minutes of prep time. It’s true; they’ll be finished and ready for guests before the end of a your favorite TV episode. The result of this recipe is a delicious hybrid with chocolatey richness and an intriguing flavor provided by salted caramel. A touch of sea salt brings out the sweetness of the caramel and amplifies its flavor. It’s one of the most inspired—and beloved—pairings touted over the past few years. Salted caramel is making its way across the dessert menu, and it is a great addition to this chocolate pecan pie. This recipe promises a cross between a fudge pie and pecan pie. You can also customize, experimenting with different looks by arranging the pecans however you like for a personal touch. Cranberries and apples are a staple in dessert spreads throughout autumn and winter holidays. In this recipe, you get to savor the flavors of cranberries and apples as they come together with a holiday favorite—pecan shortbread—in this stunning presentation. The light crispness of pecan shortbread makes a perfect base for the bright, tart flavors of cranberry and apple. It will look gorgeous on your table and it will delight your palette with the glory of autumnal harvest fruits. The lattice formation of the pecan shortbread crust—laced atop the pie—is adorned with pecans perched in the open squares created by the lattice design. 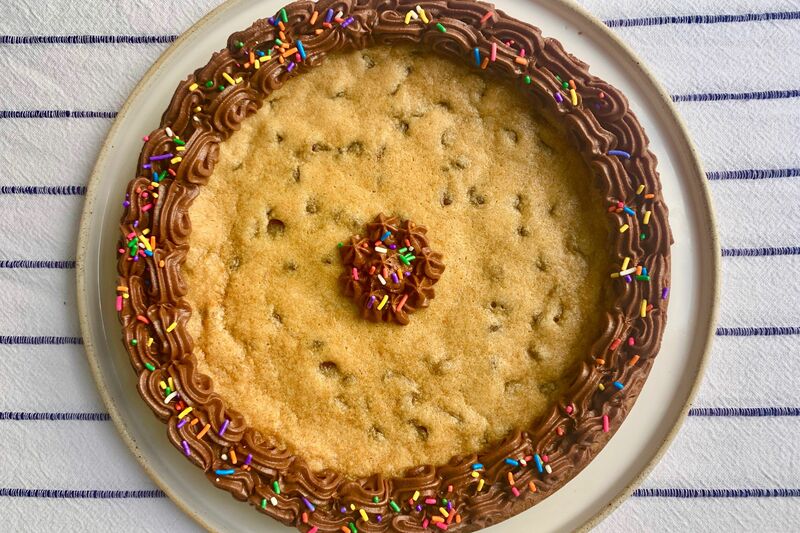 It’s a showstopper, plain and simple. Is there anything nicer than chocolate and caramel all swirled together and mixed with rich, chewy pecans? It’s a perfect complement to a Thanksgiving meal (or a random Wednesday night dinner) and it will finish off the experience with a sweet, memorable bite. This decadent pie pairs perfectly with a dollop of whipped cream or a scoop of vanilla ice cream. We like pairing it with something creamy to amplify the flavors, but it’s also very nice on its own. It can stand up to the richest ice cream and the fluffiest whipped cream, holding its own when paired with the most fan-favorite additions. Despite it’s name, this recipe will only bring delight. Once you’ve made a pecan pie in a cast-iron skillet, you may never go back to a pie plate. You’ve seen skillet cookies, but once you try the skillet pie, you’ll shout hurray. This technique is easy, and the result is an authentic pecan pie, a bit crispy, a lot tasty. All you have to do is simply press a refrigerated pie crust into the skillet, sprinkle it with sugar, top it with the pecan mixture, and bake. Serving it in the skillet is also easy and, if possible, it makes the dish even more Southern. The nutty topping on this pecan cheesecake pie adds a nice crunch to the characteristic creaminess of this popular dessert. The two textures are distinct, but they work together to make each bite both chewy and smooth. What results is a decadent pecan cheesecake pie the likes of which we’d like to make for every holiday dinner. With only eight ingredients, the gorgeous final result belies the simplicity of preparation. Add a dollop of whipped cream and a dainty green garnish to make the pecan cheesecake pie seem even more intricate and time intensive. Your guests will appreciate the effort, and you’ll appreciate all the time you save. Great things come in small packages! These crunchy pecan pie bites will convince you of this. These pecan pie bites are small but they are so full of flavor and just the right size for convenient, pass-along party desserts. Pop one into your mouth, and it’s an explosion of chewy pecans and sweet pie flavors. These are also great to give as gifts, especially hostess gifts. For a pretty presentation, they can be layered in a festive holiday tin or a glass jar with wax paper inside and pretty ribbon tied around the container. They’re just as nice—and so cute—on a platter, awaiting guests who will delight in their crunchy texture. A spin on one of the most crowd-pleasing combinations, this recipe for Chocolate-Bourbon Pecan Pie takes a traditional, yummy pecan pie and adds the intense flavors of bourbon and chocolate. Cut your preparation time in half by using a refrigerated pie crust. It is a great shortcut that diminishes your hands-on preparation significantly. It should only takes you 10 minutes to get this pie ready to bake. Any steps that allow us to speed up prep time are winners in our book, and this pie will be just as delicious with a pie crust from the refrigerator or freezer section of your neighborhood grocery store. Surprisingly easy to make, our recipe for Caramel-Pecan Tart pairs the cookie-like crispness of shortbread with a buttery-rich brown sugar-and-honey topping. It’s a sophisticated blend that is also pleasing to the palette. A thick layer of chopped pecans on top of the tart adds a substantial nuttiness that is then coated in the sweetness of brown sugar and earthy pour of honey. There are few things prettier than a tart, it’s crimped edges perfectly crisped, sitting atop a cake stand. This one is a creamy, milky shade of lemon that looks just lovely on dinner and dessert tables throughout the year. When it comes to the holiday season, there's nothing better than the classics. The recipes and the advice on how to make them have been passed down from generation to generation. They're usually handwritten, and passed down on grease-splattered recipe cards over the years. This specialty pie is made with a double pie crust, which makes it extra crisp and buttery. This traditional pecan has just the right amount of sugar and light corn syrup to give it a not-so-sweet taste. 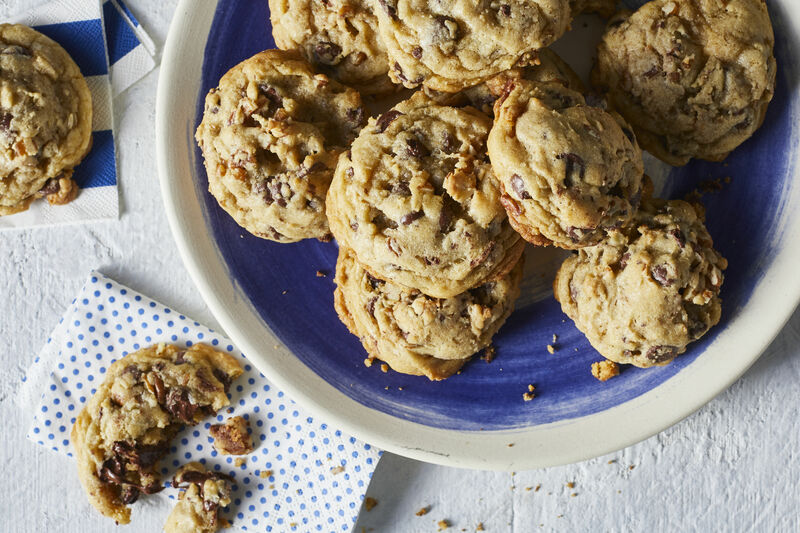 It's a timeless treat with just the right ooey, gooey pecan goodness. No dessert spread is complete without a cobbler. Warm and gooey from the oven, it’s perfectly paired with ice cream but is also melt-in-your-mouth delicious on its own. This recipe takes the traditional comfort dessert to the next level. Tart Granny Smith apples, sautéed in brown sugar and butter, get topped with the tender, sweet crunch of a pecan-pie muffin batter. It’s delectable in any form, but we recommend baking this fall favorite in either individual ramekins or a single casserole dish. 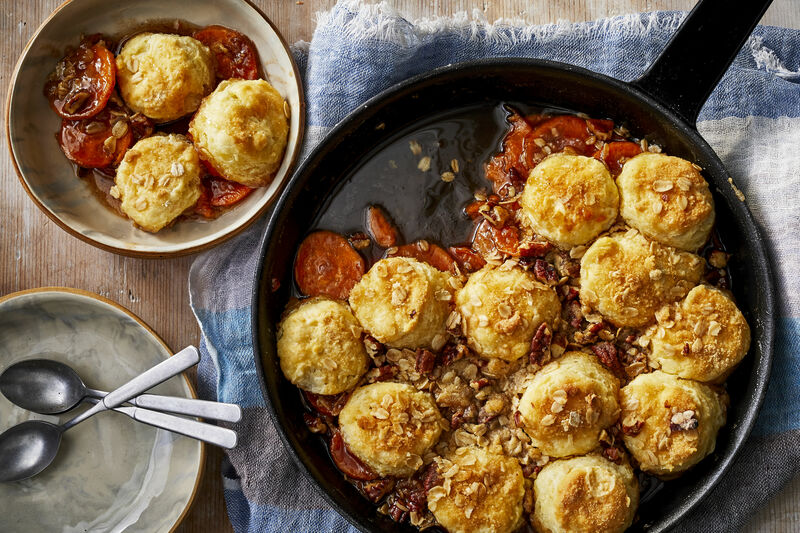 You can serve the casserole dish family style, or each person at your table can enjoy their own warm ramekin of cobbler. This pecan pie is rich, gooey, and a perfect after-dinner (or mid-afternoon) addition to a meal. Create this caramel pecan pie for your family and friends, and they will thank you. It is a perfect special occasion pie that is made even fancier with the addition of chocolate-dipped pecan halves on top. It’s a simple addition, but a lovely detail in the presentation of a slice of this overwhelmingly special pecan pie. Chocolate and pecans were meant to be together, and if you already have a bag of chocolate-dipped pecans (which, around the holidays, of course you do), you can pop a few of those on top rather than dipping your own. Chess pie has a special place in many Southerners’ hearts. This version will please chess pie aficionados and novices alike thanks to its dark, rich, and intensely chocolaty flavors. Because of its richness, this is one of our favorite new twists on pecan pie. The crust here is a lovely rustic form that is reminiscent of a tart crust. Rather than accompanying a peach tart, this crust is subtle and substantial, an ideal complement to the richness of a chocolate and pecan studded chess pie. We recommend serving this masterpiece with a dollop of sweetened whipped cream, another subtle and lovely addition to the dessert. There’s a reason people say things are “as Southern as pecan pie.” Somehow, though, we made the pecan pie even more Southern, more Southern, even, than if you stood in the orchard and picked up the pecans yourself (which you probably did.) Pecan pie is already delicious and oh-so Southern, but click through to watch as Test Kitchen Professional Norman King turns a traditional pecan pie into an insanely decadent deep-fried treat. That’s not all though. This treat is complemented by a smooth and bold bourbon whipped cream. 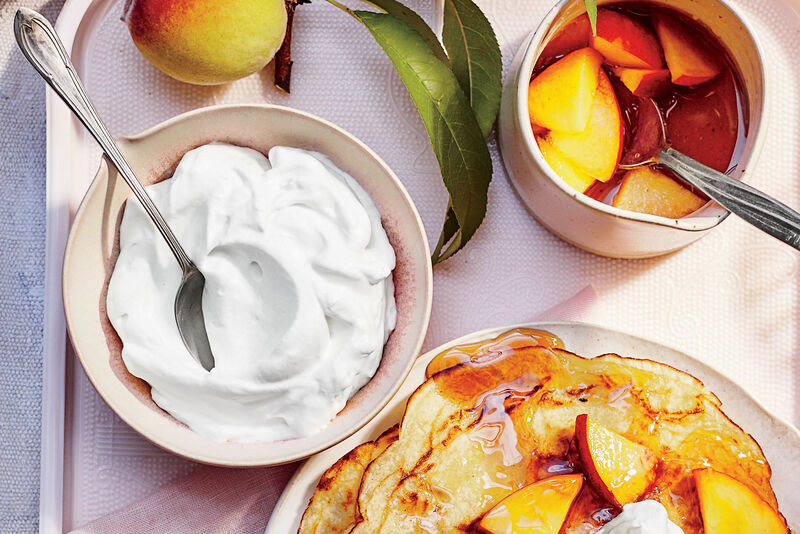 It’s a surprising twist on whipped cream that adds real impact. It takes the dish from classic to oh-so memorable. Looking for something to take to the school bake sale? Barring any nut allergies, this is the recipe for you to try. It combines two things everyone loves: pecan pie and brownies, the flavors of which are so great together. Do you want to make your brownies extra amazing? Of course you do. Then you should add a premade pecan pie to your bowl of homemade brownie batter. The result? Mouthwatering brownies—oh so easy to make—with the full, bold favor of pecan pie. The creaminess of the brownies and the sweetness of the pie blend beautifully. Be sure to bake a few batches; they’ll be gone before you know it. We thought we’d seen it all. 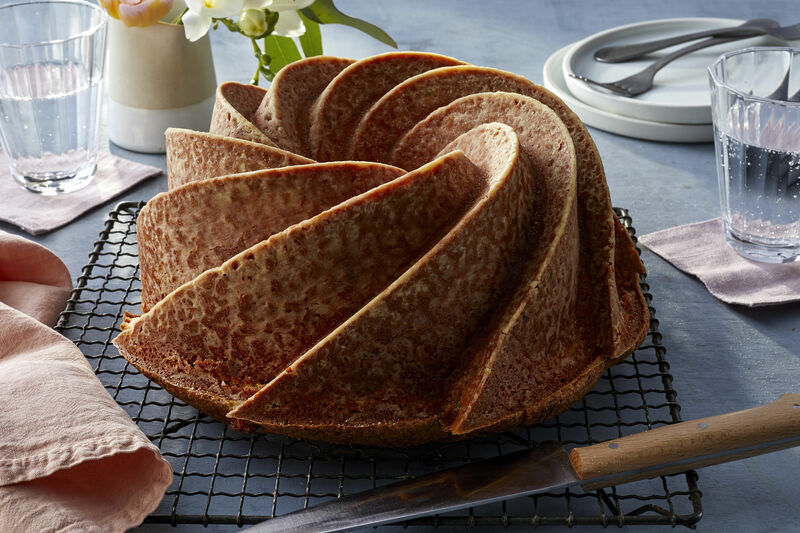 We thought we’d seen it all, that is, until this pie-cake hybrid emerged from our Test Kitchen. One of the things that makes this recipe so special is that it calls for a decadent pecan pie filling to be used—instead of frosting—between the layers of the cake. That step makes this moist cake even more luxurious. 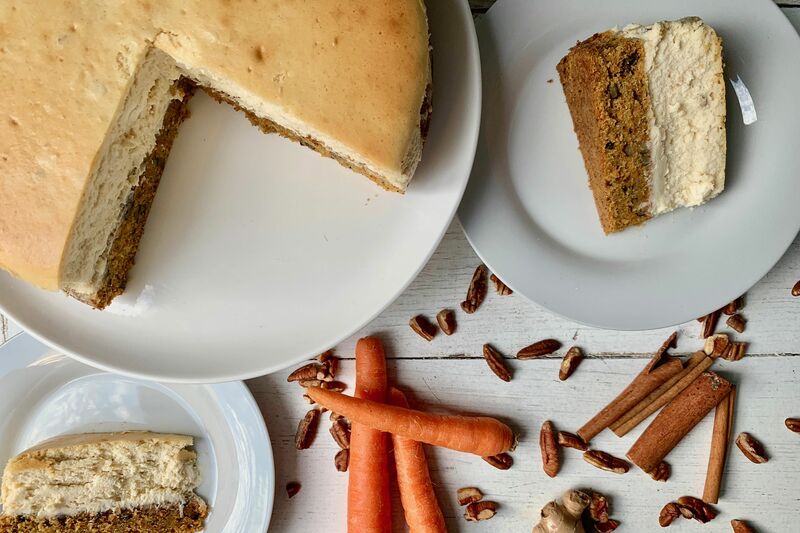 Your guests will love the mix of cake and pie, not to mention the out-of-this-world taste of bold, flavorful pecan pie, the ultimate Southern favorite and one of the quintessential fixtures of Southern dessert cuisine. Enjoy!